We are a leading suppliers of a wide range of Natural Wood Charcoal, Coconut Shell Charcoal, Charcoal Powder, Charcoal Briquettes. These products are manufactured by heating wood / coco shells in the absence of air thereby removing the volatile constituents and water. Volatile Matter : 10% Max. Ash content : 15% Max. 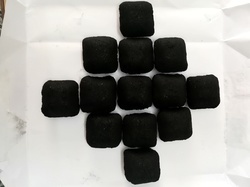 Briquettes size: 2" X 2" X 1"
We are instrumental in providing our clients high quality Charcoal Powder. 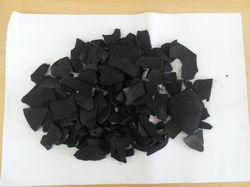 It is used in many industries for a different purpose such as agarbatti / dhoop sticks, briquette manufacturing, fireworks manufacturing, electronic earthing use, Lead smelting plants, cement plant, general boiler firing, direct powder burners, foundry and steel industry, etc. 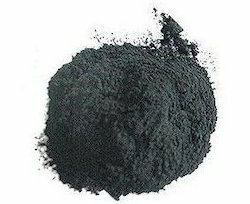 We offer this Charcoal Powder at highly competitive price to the clients.